Follow us to stay up to date with all our happenings. Waldorf education works with the developmental stages of growth in children. The harmonious unfolding of the personality depends on the healthy maturation of each developmental stage, and each progression builds upon the one before it. Strengthening a child’s later cognition in science begins with the building of a strong foundation in the early years, initially by parents and family and later by teachers. Preschool children are informed about the world through their bodily or sense impressions. The wonder in the world passes directly into their physical, sensory organization through every experience they encounter. Impressions are stored as cellular memory as the organs of the body are being sculpted. Young children have a feeling of “oneness” with the world, and the world is their teacher. These sensory engravings later become the basis upon which scientific cognition is founded. What can parents do to help their children? Parents have the opportunity to enrich this time of development by surrounding their children with beauty, rhythm, and activities that appropriately stimulate the senses. The nourishment the parent provides for the child builds security in the world and allows for the gradual awakening of the individuality or self. In the early years everything coming toward the child from the environment requires adult attention and discretion; sounds, tastes, light sources, and all outer impressions which could possibly over-stimulate the child’s sense life and throw it into imbalance need to be monitored. To constructively aid development, adults could arrange activities so the children are consciously exposed to different smells (acrid, sweet, pungent), tastes (salty, sweet, sour), surfaces (smooth, rough, soft, and so on). However, parents should be cautious that their efforts do not over stimulate the child through too much structured activity. Additionally, too much conversation with the child regarding conclusions or ideas relating to the sensory impressions should also be avoided. 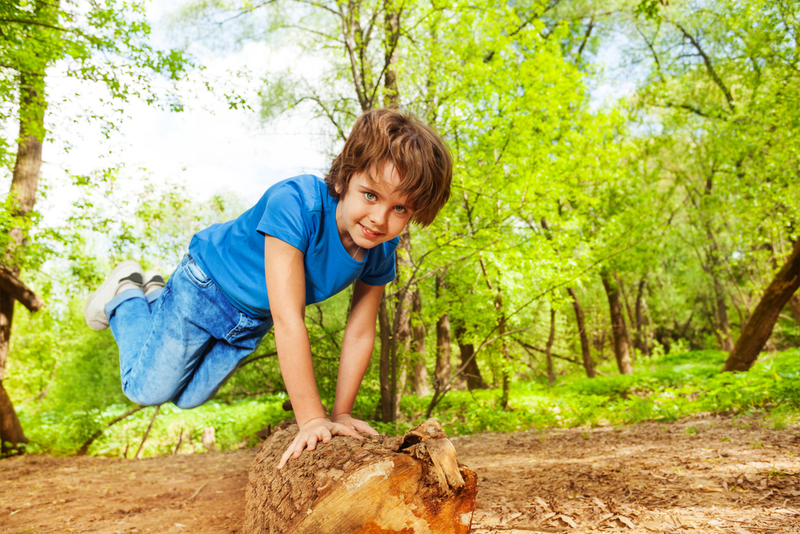 They could be encouraged to practice balancing on logs and stones; they could jump rope and be introduced to other games requiring rhythmic movement and spatial awareness. Warm, cool, hot, and tepid should become living experiences, and lightness, heaviness, bigness and smallness should be understood through wakeful activity. All of the primary senses need to be set to work. A good place to do this is the kitchen where science underlies every activity. The children can experience the smell of yeast as the bread rises (fermentation) as well as the transformation of the bread as it is being baked; they could on special occasions experience the old traditional kitchen tasks of boiling fruit and jelling jams with pectin, the caramelizing of sugar, the separation of whey from milk, and the aroma of eggs being fried or custard being baked with nutmeg. In the kitchen, the mother and father become resident chemists, and if they ensoul their activity with love, they will fill the child’s soul with warmth, and the child will help develop a loving relationship for learning and experimenting as he observes and imitates the parents. These participatory activities become the foundation stones for a later acquired scientific thinking. The ages between three and five is the time when the children are learning to comprehend weight (mass)—but understanding it directly through their limbs and senses. Once, at a birthday party for one of our four children, I made the mistake of cutting the birthday cake disproportionately. My four-year-old daughter complained to me that her older sister had received a larger piece. Quietly, I reached over and cut hers in half and said, “There, now you have two,” and she was satisfied. This would not work with a child past the age of seven. Try never to answer a child’s scientific questions with dead or fixed concepts. A young child does not have the ability to fully comprehend scientific abstraction. Children need living pictures that fill their souls with wonder and surprise, not dead abstract reasoning. Their inner imaging becomes vitalized when an observation awakens a feeling of reverence. Reverence and a sense of wonder are the groundwork that Waldorf education uses to build its science curriculum. It is interesting to consider the derivation of the word “science.” It evolved from the Latin word Scientia which means “knowledge.” In science knowledge is acquired through observation. The task for teachers and parents of young children is to create the conditions to experience wonder and love from they meet in the world. Most every Sunday, when our for children were small, my wife and I would take them for a walk around the neighbourhood “ring road” in wooded southern New Hampshire. On every stroll the children darted from side to side noticing new growth, patterns in the flow of the small stream, the sound of our feet shuffling through snow at different temperatures, the shape of seed pods, and the crunchy quality of dead plants in January. We said very little but acknowledged their treasures. This type of activity in early childhood opens capacities needed for science when they reach puberty. How does one observe? The word “observation” has the roots of two words within it—”serve” and “object.” This is the key to the activity of looking at something; we ask the children “to serve the object.” In other words, we ask them to put aside their feelings, their sympathies and antipathies, their preconceived notions and to ultimately allow the phenomena itself to speak directly to them, to fill their soul. Some of the activities which help lay a healthy foundation for scientific thinking in the elementary school child involve activities in nature––walks where the child’s observation is stimulated to notice the seeds in the swaying grasses, the pattern of the bark on different trees, the glitter within a rock, the geometry of a particular leaf or flower, the reflection in a puddle, and so on. The important thing at this stage is not to allow judgments or concepts to become fixed. Rather, let the observations stand, expand upon them, and provide opportunities for experimentation and comparison. The children do not require overt adult direction; they need merely to live into the world of nature freely, allowing their own experiences to build. In the Waldorf first grade the children meet the metamorphosis of the butterfly and the wisdom imbedded in the various fairy tales. Minerals are available in the classroom as are a terrarium and plants that require human care and consciousness. Academically, the teacher refrains from dry facts or platitudes and strives to build up inner pictures of living organisms. The children’s minds are allowed flexibility and expansiveness. The “wholeness” and security in the world is emphasized. In the second grade the class meets the fables. In a fable, such as “The Wolf and the Lamb” by Aesop, the teacher can ask questions which the class can answer out of their own collective observations. How do the wolf and the lamb walk? Both walk on four feet. What are their skins like? The lamb has soft, white, fluffy wool, and the wolf has rough, matted, shaggy fur. What are their teeth like? The lamb has small chisel-shaped front teeth (incisors) which it uses for cutting grass. The wolf has predominantly sharp pointed teeth (canines) which it uses for ripping meat. Both have flat strong back teeth (molars) for grinding and chewing. How do they live? The lambs live in groups or herds and are dependent on each other for safety. The wolf is a loner and hunts independently for his daily meal but can also travel in packs to overwhelm prey. In such a way the second grade teacher can build up objective and accurate pictures from within the animal kingdom that will return in future zoology classes. The third grade is involved in farming, gardening, house building, measuring, weighing, analysing soils, identifying grains and other practical activities which develop and solidify their scientific knowledge. This particular year finds the children going through physical changes. Their heartbeat slows down to a 4: 1 ratio with their breathing. This is the ratio of the adult. Also at this age the psychology changes; the children are able to discern a separation between the self and the world. The special tree no longer has a name—it is now objectively a tree! The children begin to lose the complete trust in the world that they had in the early years of childhood. They undergo a transformation from the imaginative, moral treatment of the kingdoms of nature to one in which they stand opposite natural objects in a more objective way—and they now need to understand them. This is developmentally the right time for a more objective science to be taught. The fourth grade meets this need through the main lesson on zoology that continues into the fifth grade when botany is also added. The question for the teacher is, “What is expressing itself in the plant?” The plant should be examined as an integral part of its environment, but again pictures should be the vehicle for this knowledge, not dry, dead facts. While teaching botany to my fifth grade, I asked the class one day what a seed was. One of my more imaginative students replied, “A seed is a little box with its lunch inside.” The image contained in this response is greater than the fact it conveys. It is an example of metaphorical thinking and is another building block for the scientific reasoning that will blossom in the teenage years. In the sixth grade mineralogy is introduced by way of the qualitative character of particular landscapes. Limestone landscapes such as the Mammoth Cave area in Kentucky are compared with granite landscapes such as the White Mountains of New England. What are the distinctive plants of each? How does each landscape react to acid rain? What are the different qualities of granite and limestone? Physics––including acoustics, optics, heat, magnetism, and static electricity––is introduced in the sixth grade as well. Optics is evolved from their experiences with watercolour painting and acoustics from their experiences in music. The children are now asked to accurately describe the phenomena from the demonstrations. These observations then lead to the discovery of the laws which underlie the phenomena. Precise, accurate observations (free of attempts to figure out “what is causing it” behind the senses) are the activities which are reinforced for the next two years in the seventh and eighth grades as chemistry is introduced, physics is deepened, astronomy is explored, and human physiology is studied. Therein is the reason that Waldorf schools use a totally different approach. Waldorf teachers begin with a phenomenon that the students observe. They then take their observations inward and later accurately write what they saw. The class discusses the observations, thinks about them, wrestles with them, perhaps repeats the experiment, and then strives to arrive at a conclusion. Why did such and such happen? In this process the students’ thinking is active. They arrive at the concepts through their own inner thought activity and worked-at judgment. They re-discover what a Cavendish or Priestley is credited with discovering, but they own the experience of finding it themselves, they own the concept they have derived. Later the acquired activity of thinking will be of use to them in life when encountering problems requiring discrimination, whether they continue to study science or not. In the ninth and tenth grades of a Waldorf high school, rigor is applied to the thinking. Now the students must do more than just observe. They must bring discipline to their thinking. There must be logic in their statements. They must understand the working of the internal combustion engine. They must know the glands of the endocrine system and how they function. They must comprehend the properties of metals and understand chemical reactions. Their thinking must become vital, and they must appreciate that it is a thinking that takes the laws of nature and imagines their applications in new ways not found in nature which has created our modern world. They must learn to value their own thoughts. When a foundation of observation and disciplined thinking is established, the high school science teacher now introduces a new type of thinking, while still strengthening and building upon the first two. This “new” thinking is called phenomenological thinking. Quite simply it can be explained as follows: first, the phenomena is carefully observed; second, the rigors and the laws of thinking as well as previously gained concepts in science are considered and the phenomena is contemplated; third, everything up to now is laid to rest, the mind is cleared, and the phenomena themselves are allowed to speak. The student quietly observes what comes forward while keeping the mind from straying. Finally, the student will write what the phenomenon revealed in his life of thought. This activity opens one up to new possibilities. This type of thinking is freed from the senses and allows the universe to speak through to the individual. It is a type of thinking that is truly moral and can be the fertile ground for the “new” science of the twenty-first century. The aim of much conventional education is to lead the child into particular fields of knowledge. Waldorf education has the opposite aim––it strives to transform fields of knowledge into “education” in a way that encourages the child’s healthy development. Science teaching needs to utilize new techniques based on the old wisdom. This requires a combination of kindling the sparks of imagination, quieting the soul so the inspiration can be heard, and presenting intellectual material so that intuitive truths can be experienced. When we do this we attend to both content and character. We help students move from apathy to wonder, from wonder to knowing, and from knowing to gratitude. David Mitchell is a member of the Coordinating Committee of the Association of Waldorf Schools in North America and is Chairman of AWSNA Publications. He was a founding teacher of the Pine Hill Waldorf School where he took the first class from grade 1 through 8. He then joined High Mowing School as a teacher of life-sciences. He assisted in the founding of the Waldorf graduate program at Antioch College where he taught sciences to aspiring teachers. In 1992 David moved to Colorado to help found the Shining Mountain Waldorf High School. In 1997 he was selected as one Amgen Corporation’s two “outstanding teachers in Colorado.” He has been selected to eight different Who’s Who publications. He has edited numerous books and has authored the following: Will-Developed Intelligence, The Wonders of Waldorf Chemistry, and Resource Guide for Waldorf Teachers. Together with John Petering he has written and edited the Waldorf Science Newsletter since its inception twenty issues ago. David and his wife Anniken have four grown children and live in Boulder, Colorado. Point, in Cape Town, South Africa. 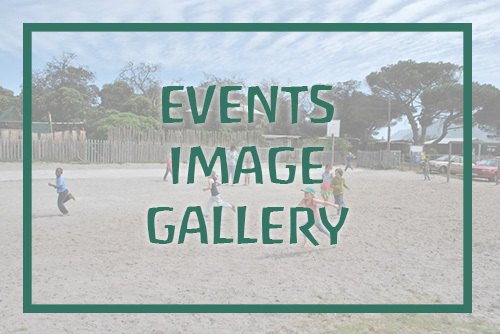 © 2019 Imhoff Waldorf School. All Rights Reserved.